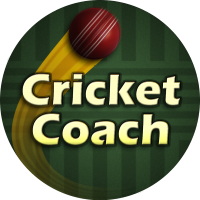 The latest version is Cricket Coach 2014, a new version is being developed, but it is not expected to be completed until 2019 at the earliest. The game is currently available for Windows/Mac only, an Android/iOS version is in development. You can download the latest version directly from this website. The download is relatively small and should only take a few seconds to reach your computer. You then run the downloaded file which will ask you where you want the game installed to your computer (PC), or drag to your Applications folder (Mac). Until you have a licence code, the game takes the form of a day long fully featured free trial. Currently heavily discounted - a great time to grab a copy of the game! All the latest news about the game and on-going development work can be found on the updates page. It features content from the Cricket Coach Twitter account. Additionally, developer Oli Norwell has a Twitter account covering wider topics related to the project and independent game development. Finally, Cricket Coach has a Facebook page. Please Like & Share, it costs nothing and helps the project immensly. The game has become popular through word-of-mouth, please help this continue! Many people ask how they can help the project. The good news is that there are several ways you can help the project continue to succeed. Firstly - please buy the game!. Your money not only gives you access to the game, but it directly pays for development of future versions. Unlike large multi-game developers, every penny that you spend on the game goes directly to pay for future development of Cricket Coach*. (* our payment processing partner takes a tiny percentage to cover their payment system costs). Secondly - please tell your friends about the game! It only takes a moment, is entirely free, and helps the community of Cricket Coach players grow. The more of us there are playing the game, the more resources there will be improve it. Sharing on Facebook, Twitter, or direct on a Whatsapp message are the most popular ways of telling cricket loving friends about Cricket Coach. My Cricket Coach doesn't work! Help!!! Please visit our help and support page. 95% of support enquiries are extremely simple to solve, and you will probably be back playing again in a matter of moments. This game is not endorsed by any sporting organisation, club, team, competition, stadium or player. Please note: The game includes a player name editor, if you do not wish your name to appear in the game please let us know, we will block the use of your name in the game.